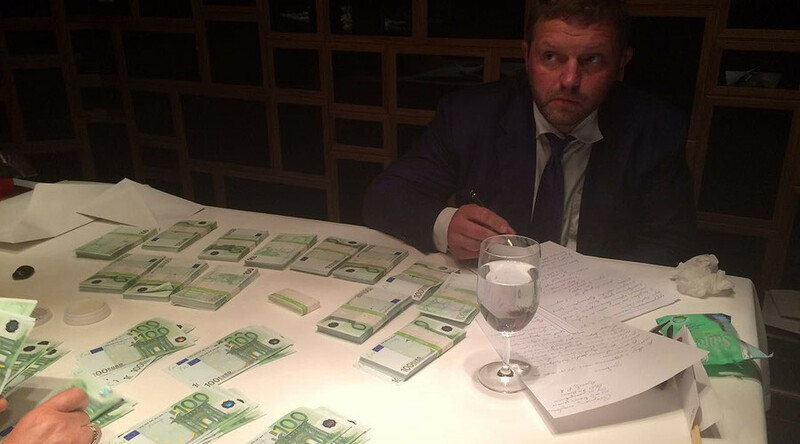 The governor of the Kirov Region has been caught "red-handed" while receiving a bribe of €400,000 ($446,000). According to investigators, he was getting the money from a company associated with the criminal case of anti-corruption activist Aleksey Navalny. The head of the region in Central Russia Nikita Belykh has been detained and a criminal case launched, spokesman of Russia's Investigative Committee Vladimir Markin announced on Friday. Belykh was caught red-handed while receiving the money in euro currency at a Moscow restaurant, he added, saying that investigators will seek the governor's arrest. The euro notes were apparently marked by police. According to investigators, Belykh was getting the money for his actions in favor of the bribe-giver, who controlled two companies – the Novovyatsky Ski Plant and Forestry Managing Company. The latter entity is associated with Russian opposition figure Aleksey Navalny. Among its co-founding companies in 2010 was the Kirovles (Kirov Forest), which was later involved in the criminal case against Navalny. In 2013, the activist was found guilty by a Kirov court of embezzlement within the Kirovles. Originally sentenced to five years in prison, Navalny's sentence was later changed to suspended, with a fine of 500,000 rubles ($7,700). Belykh, who has been governor since January 2009, is now suspected of corruption, related to a number of investment and business projects in his region. The criminal case against him is not politically-motivated, Markin stressed. He recalled other instances when cases against former governors of Russia's Komi and Sakhalin Regions were launched, and said corruption charges cannot have a political subtext.